Sony Xperia ZL is newest product from Sony with supported Qualcomm Snapdragon S4 pro processor that is new software from sony. This advance quad core processor gives you maximum performance and speed without draining you battery-run multiple apps simultaneously, surf the web with no loading time, and stream videos without a break. The Snapdragon S4 pro processor is asynchronous, which means each core is powered up and down independently. So you get the precise amount of power when you need it, without wasting power when you dont't. Sony Xperia ZL has design with Mobile BRAVIA Engine 2 automatically optimises images so they are sharper and brighter. It also offers you the best in contrast and colour management. Sony Xperia ZL has the world's fist Exmor RS for mobile and HDR, So Sony Xperia ZL can takes sharp photos and videos both in lowlight and strongly backlit conditions. The lowlight sensors on front and back make it the first dual Exmor R for mobile camera. Sony Xperia ZL also comes with a high quality stereo headset. Sony Xperia ZL MH-EX3000AP headset has superior acoustic performance which helps realise sound true to the original recorded sound. 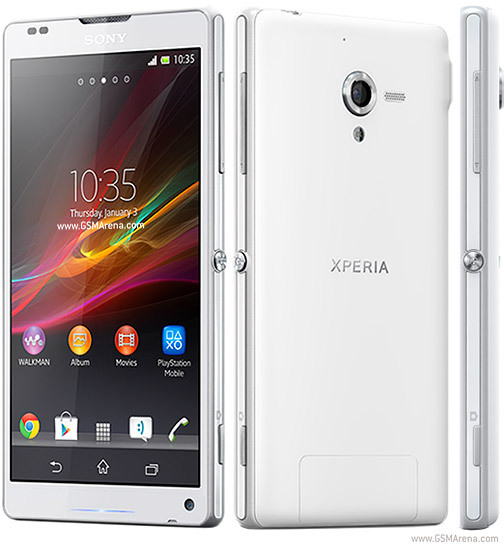 Learn more Sony Xperia ZL with download Sony Xperia ZL user manual in below and fun life with your Sony Xperia ZL. Hopefully useful to user Sony Xperia ZL.